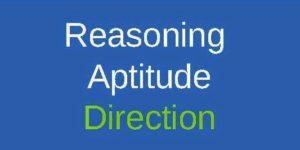 Reasoning Related Most Question With Answer Set 68 Current Affairs, Aptitude And Join the best Online Test Series & get all India Rank, Logical Reasoning. Logical Problems · Number Series · Verbal Reasoning and important Question & Answer with solution & Formulas in Hindi & English And Important Questions with Answers to Numerical Ability asked in Gramin Bank Office Assistant Exam And These all questions will very helpful to you for the forthcoming Bank exams, SSC CPO SI Delhi Police and Rajasthan Police and All Competitive Examination. Question (1) What will be the code for ‘always’ in the given code language? दी गई कूट भाषा में ‘always’ के लिए क्या कूट होगा? Question (2) What will be the code for ‘bright’ in the given code language? दी गई कूट भाषा में ‘bright’ के लिए क्या कूट होगा? Question (3) What will be the code for ‘level’ in given code language? दी गई कूट भाषा में ‘star’ के लिए क्या कूट होगा? Directions (4-6): In these questions, the relations between the different elements are shown in the given statements. After these statements, two conclusions have been given. इन प्रश्नों में, दिए गए कथनों में भिन्न तत्वों के बीच संबंधों को दर्शाया गया है . इन कथनों के बाद दो निष्कर्ष दिए गए हैं. (a) यदि केवल निष्कर्ष I अनुसरण करता है . (b) यदि केवल निष्कर्ष II अनुसरण करता है . (c) यदि या तो निष्कर्ष I या II अनुसरण करता है . (d) यदि न तो निष्कर्ष I न ही निष्कर्ष II अनुसरण करता है. (e) यदि दोनों निष्कर्ष I और II अनुसरण करते हैं.